B. Fuller's Mortar & Pestle is located in the heart of Seattle's Fremont neighborhood on 36th Street between Fremont Place North and Fremont Avenue North, and just steps from the Statue of Lenin. The tea business was founded in 2009, becoming a fixture in local farmers markets as well as food and gift shows before opening a retail space in Fremont four years ago. 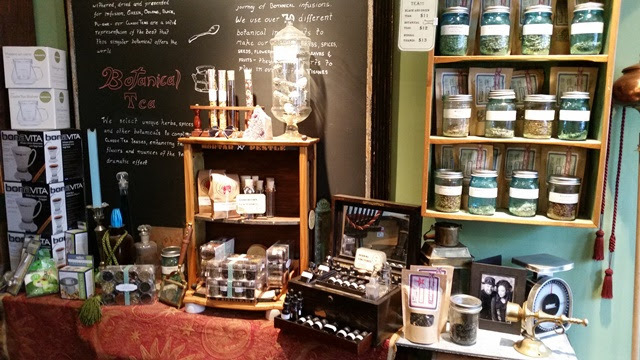 Stepping into the small tea shop is like stepping into a 19th-century adventurer's parlor with Victorian decor and a Steampunk flair. 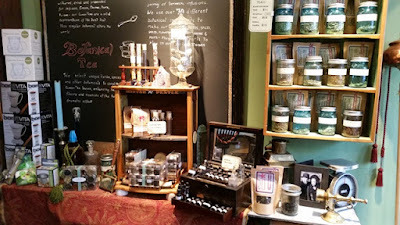 The tea shop offers classic teas, herbal tisanes, botanical teas, infusers, bottled starter kits, bath teas, and tinctures. 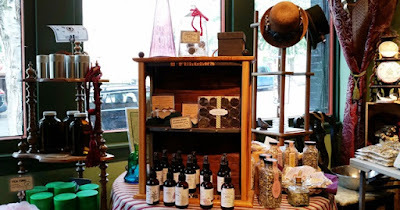 The herbals and botanicals are made with local and organic ingredients. 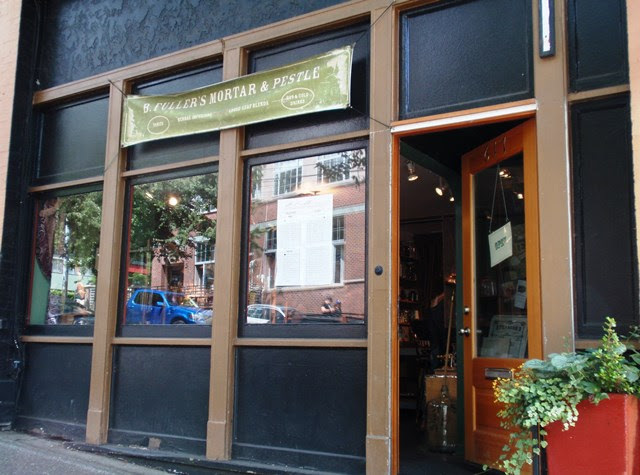 Further into the parlor is a tea bar where freshly prepared tea is often available to sample. The sample of French Earl Grey I tasted was very nice. 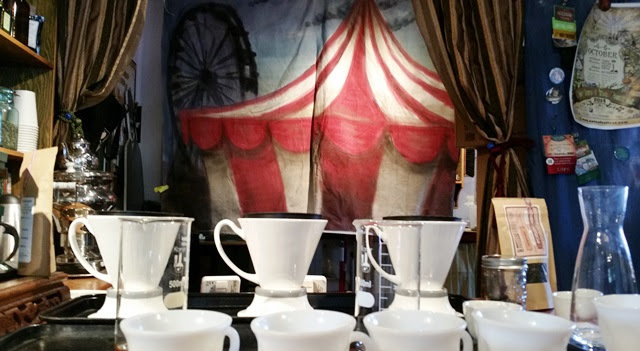 Fremont is a delightful neighborhood with something for everyone to enjoy. Visit famous landmarks like the Fremont Troll, attend events like the Fremont Fair and Solstice Parade, take a tour at the Theo Chocolate factory, and dine in foodie paradise. 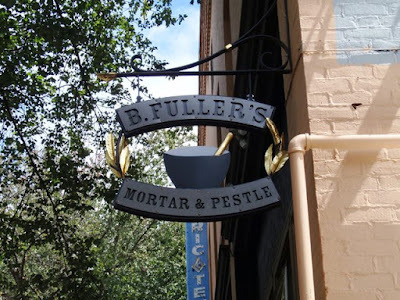 Plan your next visit and don't forget to include B. Fuller's M&P!